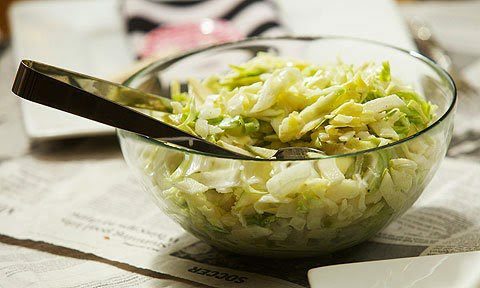 In a large bowl, mix the cabbage, apples and onion together. In a small mixing bowl, whisk together the vinegar, mayo and lemon juice. Season with salt and pepper to taste. 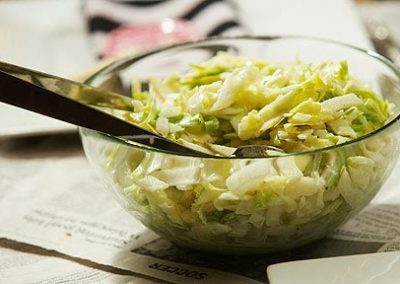 Pour over the cabbage mixture, and stir to combine.